Exciting news from our Client Partner, Sage Therapeutics. The FDA has approved Cambridge biopharma Sage Therapeutics' first product, a drug that the company says will be the first product specifically designed to treat postpartum depression. Zulresso is Sage's (Nasdaq: SAGE) first product to reach the market and one of two treatments the company has developed to treat postpartum depression. Its second potential therapy, an oral medication known as SAGE 217, succeeded in a late-stage trial as a postpartum treatment and is also being evaluated as a potential major depressive disorder and bipolar disorder treatment. We are so excited about the work you are doing and incredibly proud to be a part of your team. Massachusetts is the #1 Life Sciences Cluster in the World. Now let's keep it that way by examining the issues that may retrict us in the future. We need an educated work force, managable real estate availability and costs as well as a continued commitment to this ecosystem. Learn more from Bob Coughlin, MassBio President and CEO. Join Janitronics Building Services and Life Science Cares as we help CASPAR’s emergency shelter by giving their kitchen an early spring cleaning! We will be moving all of the kitchen equipment out, giving it a deep clean, and organizing the pantry. About CASPAR: CASPAR has built a comprehensive array of outreach, shelter, stabilization, and residential programs in Cambridge and Somerville. They focus on programs that are safe, accessible, and supportive and that meet the needs of a diverse population of high-risk men and women, most of whom are uninsured and indigent. We urgently need: 8 volunteers ready to get their hands dirty! 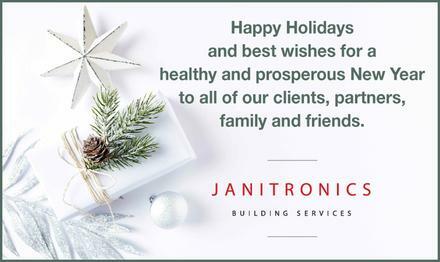 Janitronics Building Services wishes a Happy Holiday season to all. We will celebrate this year by sponsoring both the MassBio Holiday Party at the Hyatt Regency, Cambridge and the NAIOP Holiday Party at The Exchange at 100 Federal Street, Boston. We will also join the BOMA Boston Holiday event at Scholar’s. With lunches, events and dinners, we hope to see you all this month! Janitronics Building Services had a busy week full of giving and supporting community philanthropic causes. On Tuesday, November 27, we once again supported Boston Children’s Hospital Trust in their Annual fundraising Gala Champions for Children’s. This all-star gala fundraiser features Boston’s business leaders and sports teams—the Boston Bruins, Boston Cannons, Boston Celtics, Boston Red Sox, New England Patriots and New England Revolution. Thanks to their support and generous sponsorships, over $55 million has been raised since 1997 benefiting the hospital’s areas of greatest need and making a life-changing impact on the lives of the countless children and families they serve. Then on Wednesday November 28, Janitronics was hard at work helping to make the Annul Best of the Back Bay event at the Fairmont Copley as well as local participating local Back Bay Restaurants the best ever. This event developed by Back Bay Association helps them to further their mission to support the community. Janitronics Building Services was proud to sponsor the Fifteenth Annual Team Massachusetts Economic Impact Awards, recognizing Companies for their outstanding contributions of investment, job growth, facility expansion, and community involvement. Selected for their achievements since Jan. 1, 2017, the 15 winners, from five distinct regions of the state, were congratulated at the annual MassEcon Impact Awards luncheon in a video presentation by Massachusetts Gov. Charlie Baker at the Renaissance Boston Waterfront Hotel. The Gold Award winners were Wayfair, from Boston; MGM Springfield, from Springfield; Table Talk Pies, from Worcester; MilliporeSigma, from Burlington; and Moderna, from Norwood. The team from Janitronics attending the celebration included Matt Quinn, Tim Cullinan, Chris Anderson, Scott Smarse and MassEcon Board Member, Dorrian C. Fragola. Congratulations to all the nominees and winners of the 2018 BOMA Boston TOBY Awards especially our Client Partners Colby Fillippelli, JLL, Facility Manager of the Year and Corporate Building of the Year as well as Julia Arsenault, Boston Properties, Property Manager of the Year High Rise. Special shout out to our friends at BOMA Boston who worked hard to make this the best year ever. Over 600 industry colleagues were in attendance. Janitronics Building Services continues to grow to meet the demands of our client partners. 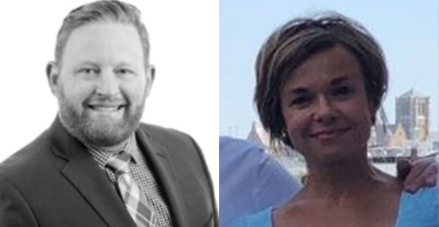 Read about our 3 newest employees in this article from The Real Reporter. 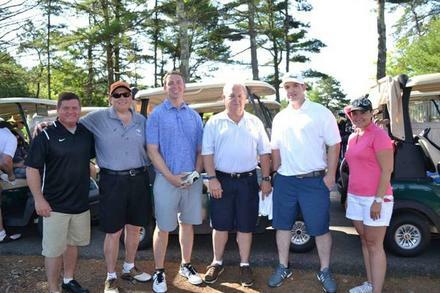 Janitronics Building Services is proud to be a major sponsor for the MassBioEd Golf Tournament again this year. All proceeds from this tournament will be used to support the MassBioEd Foundation in fulfilling its mission build a sustainable life sciences workforce in the region through educational programs that inspire and propel students, engage and excite teachers, and illuminate the pathway from the classroom to careers. What a great event a wonderful day. Here's Janitronics own Matt Quinn, Vice President of Client Services. Janitronics Building Services is thrilled to be growing with our client partner, MathWorks. 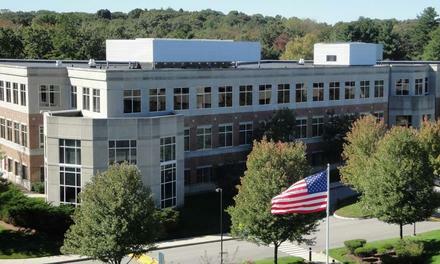 This month they opened their new campus at 1 Lakeside Campus Drive, Natick MA. This complex of over 500,000 square feet of space will be the new home for many MathWorks current employees as well as support thier ongoing growth. Amenities include a state of the art Fitness Center, a Wellness Center, a Cafe and a Conference Center. Congratulations MathWorks! Janitronics Building Services is proud to have been named to the Boston Business Journal’s List of Top Charitable Contributors again this year. Us, along with many other wonderful companies, contribute the money and volunteer time we can to support many philanthropic organizations. 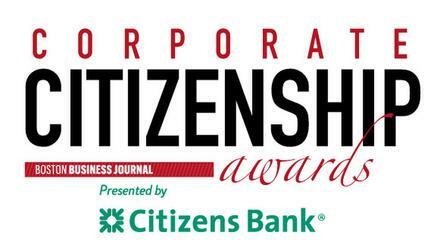 The top contributors will be honored at the BBJ's 13th Annual Corporate Citizenship Awards the evening of September 6 at Fenway Park in Boston. We look forward to seeing you there. Many members and non-members joined BOMA Boston for Springfest 2018! We had a great time connecting with friends for networking, games, food, raffles, and fun! 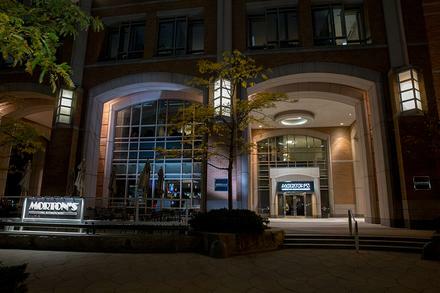 Thanks to Boston Properties this year was a special treat as the event was held in the newly created beautiful space, The Exchange at 100 Federal Street. Additional thanks to all who supported BOMA Boston's charitable partner, Bridge Over Trouble Waters, with 30 gift cards totaling over $500, which will go directly to teens in need! Last night was the sixth Annual Building Impact NonGala. Building Impact is a nonprofit that supports other nonprofits with the goal of Strengthening Communities through Volunteering with Measurable Impact. This is done in three ways: Volunteering in Buildings, Volunteering in offices and through corporate days of service. It was originally founded by Kevin McCall and Paradigm Properties with 3 other founding partners, The Bulfinch Companies, National Development and The Davis Companies. Like any Nonprofit, Building Impact needed to come up with unique ways to raise money to work toward their mission. Six years ago, the NonGala concept was born; instead of people dressing up to come to a chicken dinner in a ballroom, Building Impact would mobilize the community by creating an event that supported their nonprofit partners through service projects done on site. The event also recognizes our partners in the building community and those who volunteer throughout the year. As a member of the board of Building Impact, Dorrian volunteered to lead the efforts on the event the first year and then continued in that role for 5 years as the Host Committee Chair. During that time Building Impact raised over $300,000 and had over 1,500 volunteers. Dorrian decided last year would be her final year in that leadership role. At the event last night Building Impact surprised Dorrian with a recognition Award at the event for five years of service in this role. 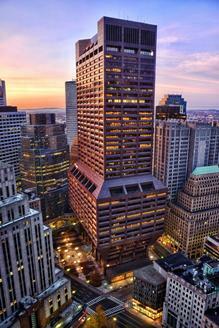 Janitronics Building Services is happy to welcome two outstanding new buildings to our growing portfolio, 100 Federal Street, Boston, MA and Bay Colony Coprporate Center, Waltham, MA. Both buildings started on January 1, 2018. To transition about 2.5 million square feet simultaneously, Janitronics deployed a strategic plan utilizing a significant group of key Managers to train staff, deliver equipment and provide transition cleaning. All this careful planning and additional staffing for tranisition day led to a seamless operation and happy new tenants. Janitronics Building Services congratulates our own Vice President of Marketing & Business Development, Dorrian Cohen Fragola on her recent election to the Board of Directors of MassEcon. She as well as Katie Joyce, Head of U.S. Corporate Affairs and Media Relations at Shire; and Lauren Liss, President and Chief Executive Officer at Mass Development were voted in on December 13, 2017 and will become part of the board as of the New Year. Janitronics Building Services continues to be one of the pargest providers of Janitorial services in the Boston Market and the largest firm to focus exclusively in the Boston regional market according to the Boston Business Journal. Now in our 40th year providing services in about 50,000,000 square feet of commercial office, biotech, life science and multi-family residential markets, we are proud to maintain our focus on client service and supporting the community where we live and work. This month Janitronics Building Services is the Featured Member for the Cambridge Chamber of Commerce. 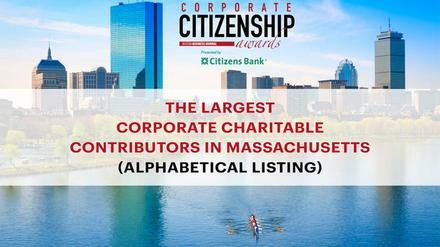 We are proud of our work in Cambridge and the communities this Chamber serves. Learn more about our work here. To continue to grow and thrive in the life science, pharma and biotech industries, Janitronics Building Services has joined ISPE Boston, the local chapter of ISPE International. This new membership will offer Janitronics Building Services employees the opportunity to go to classes, events and shows that highlight the most up to date trends in the industry. Janitronics Building Services is proud to give back to the community where we live and work every day. 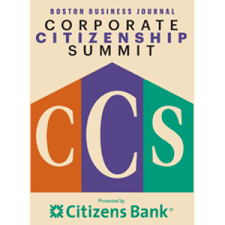 For the fourth consecutive year, Janitronics Building Services has been a part of the Boston Business Journal's Corporate Citizenship Awards making is list of Largest Charitable Contributors. From financial donations to in-kind event sponsorships to spending time helping to clean up the community, we do whatever we can to support philanthropy. This month BOMA's Member Spotlight shines on Janitronics Building Services Vice President of Marketing & Business Development, Dorrian Cohen Fragola. Learn more about her here. Janitronics Building Services is proud to once again be recognized on Boston Business Journal's List of Largest Charitable Contributors. Joining 12 other Real Estate Companies, we are pleased to give back to the comunity we have serviced for the past 40 years. 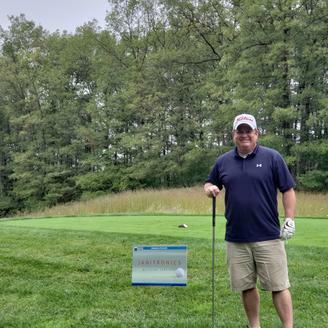 Janitronics Building Services was once again pleased to support and participate in the Annual BOMA Golf Tournament at The Pine Hills, Plymouth, MA. Our golfers turned out with 2 foursomes that included Matt Quinn, John Tello, Tim Cullinan, Don Smith, Jonathan Mareno and Joyel Pelletier. Congratulations BOMA Boston on another great event. Congratulations to our client partner Repligen at their headquarters in Waltham. Repligen is a bioprocessing-focused life sciences company bringing over 30 years of expertise and innovation to our customers. We are inspiring advances in bioprocessing through the development and commercialization of high-value products and flexible solutions that address critical steps in the production of biologic drugs, principally monoclonal antibodies. 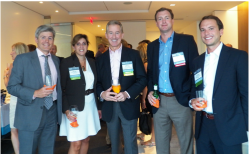 Janitronics Building Services was happy to sponsor MassBio's Regional Mixer in Boston's Innovation District. 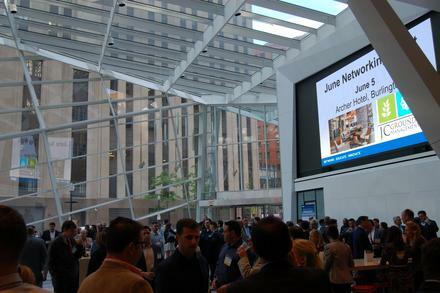 Taking place at Morton's, this event drew together almost 200 of the area's most Innovative and Life Science companies. As a top provider of precision cleaning for labs, cleanrooms and other controlled environment spaces, Janitronics is proud to support this community and help bring them all together on a regular basis. 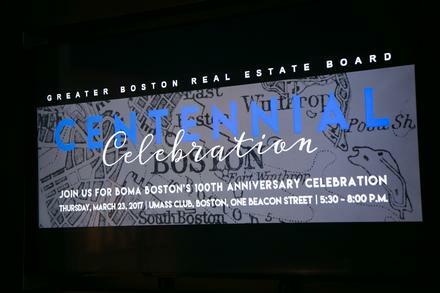 On Thursday, March 23, 2017, Janitronics Building Services helped BOMA Boston and over 300 members celebrate their 100th Anniversary at the UMass Club at One Beacon Street, Boston, MA. It was a wonderful event! Please take a look at the video which briefly examines BOMA Boston's Strategic Vision as well as their past, present and future. Happy Anniversary BOMA! Congratulations to our client partner, IPG Photonics as they begin moving into their new headquarters in Marlborough, MA. This new facility will help them as they continue to grow as the leading developer and manufacturer of high-performance fiber lasers and amplifiers for diverse applications in numerous markets. IPG Photonics' diverse lines of low, medium and high-power lasers and amplifiers are used in materials processing, communications, entertainment, medical, biotechnology, scientific and advanced applications.We look forward to working with you in this new space. Janitronics Building Services is pleased to continue our partnership with Editas Medicine as they expand into their new corporate headquarters at 11 Hurley Street, Cambridge, Massachusetts. This new space will help Editas to continue their mission to build the leading genome editing company dedicated to treating patients with genetically defined diseases. Janitronics Building Services is proud to welcome Joyel Pellitier as our Director of Life Science and Cleanroom Operations. We now have the tremendous opportunity to expand our direct technical expertise, effect advances in our Standards of Operations, and focus our skills and adept knowledge of this specialized industry so our clients can reap the benefits of an always-clean and safe environment. 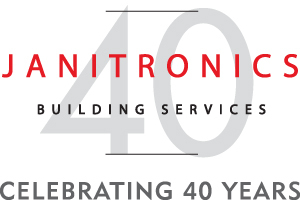 Founded in 1977, Janitronics Building Services now enters our 40th year in business. We would like to take a moment to thank all of our employees, clients, family and friends as we recognize this important achievement. We look forward to working with you for many more years as we continue to grow and enhance our services. Janitronics Building Services is proud to be a member and partner with the area's leading Biotech association, MassBio. They have accomplished so much in 2016 for patients, companies and the growth of this important industry. MassBioEd continues to focus on workforce development as jobs are created throughout the region. For a summary of these accomplishments, take a look at the Year End Review. 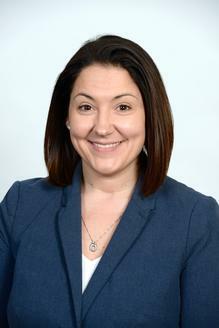 Melissa Miller, Janitronics Building Services Assistant Project Manager at the Prudential Center, joins the BOMA Board of Directors in 2017. 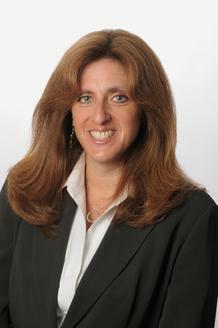 She will also be Co-Chairing the Programs and Education Committee. Congratulations Melissa! 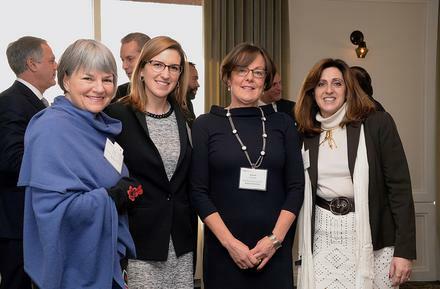 At NAIOP Massachusetts Annual Meeting, Dorrian Fragola, Vice President, Marketing & Business Development for Janitronics Building Services, was named Co-Chair of NAIOP's Education Committee. This is the second time she has been a Committee Co-Chair, having served in this role for the Marketing & Membership Committee for 3 years. As part of this role, she will continue to serve on the Executive Board as well. Congratulations to Dorrian as well as all of the other NAIOP committee leaders and award winners announced at the Annual Meeting. 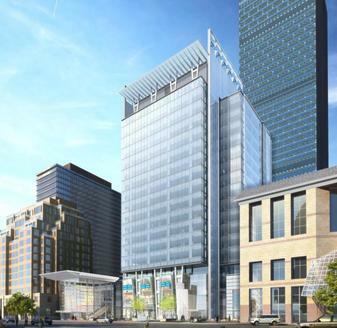 Congratulations to our client partner Boston Properties on the opening of 888 Boylston Street, Boston, MA, the last building in the Prudential Center Complex. With a goal of being the most sustainable building in Boston, the design includes everything from wind turbines to solar panels to a living wall. 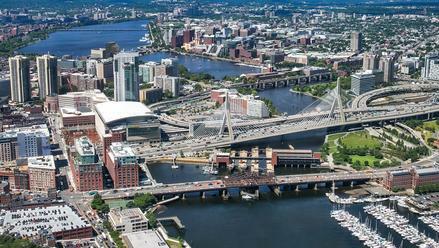 This article from the Boston Business Journal provides all of the details of this new piece of the Boston Skyline. Janitronics Building Services is proud to announce our new partnership with Sun Life Financial and their Property Management team from JLL. Janitronics Building Services will be the exclusive janitorial service provider for their US headquarters at One Sun Life Executive Park in Wellesley, MA. The four building 378,850-square-foot corporate campus sits along Route 128. The 13 acre site includes a 372,000-square-foot multi-level parking garage for 1,095 vehicles. 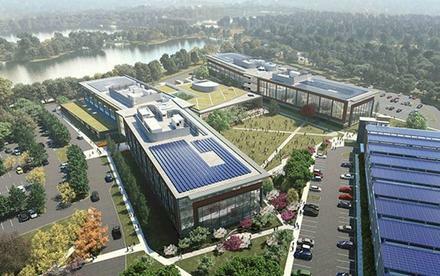 The complex features: state of the art data centers, computer rooms, tel-data, energy management, life safety systems, a full service cafeteria and fitness center. There are approximately 1,500 Sun Life employees working within the park. BOMA'S The Outstanding Building of the Year (TOBY) Awards are the most prestigious and comprehensive programs of their kind in the commercial real estate industry recognizing quality in buildings and rewarding excellence in building management. During the competitions, all facets of a building's operations are thoroughly evaluated. Buildings are judged on everything from community involvement and site management to environmental and "green" policies and procedures. Janitronics Building Services will once again be the Invitation Sponsor of this annual event. We invite you to join us on Tuesday, November 15, 2016. 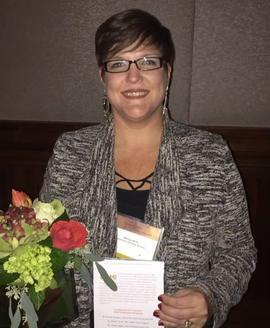 Congratulations to our own Melissa Miller, Assistant Project Manager at The Prudential Center, on being recognized for earning her RPA at last night's BOMA TOBY Awards! Great job Melissa! — at Boston Marriott Copley Place. New technology is everywhere. Janitronics Building Services Facial Recognition software is making a huge impact in accurately tracking time and avoiding fraud. 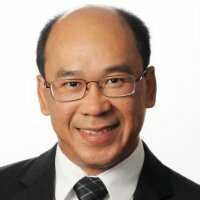 Take a look at this new technology with our CFO, Vince Wong. 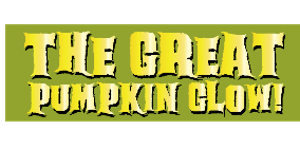 For the third year, Janitronics Building Services is proud to support the Boys & Girls Clubs of Medford and Somerville at the annual Great Pumpkin Glow. Taking place on Thursday October 27, 2016 from 4:30-8:00PM. Call it carving for a cause and come out and support this important organization with fellow supporters BioMed Realty, Genzyme, BrightView Landscaping and more. See you at 300 Athenaeum Street in Cambridge for all the fun, carving and a Pumpkin Glow Party! Janitronics Building Services is proud to support MassBio all year long and in October, they make it easy. Join Janitornics Building Services, MassBio and other sponsors including Stratacuity, Airgas, Bayer and PerkinElmer on the Tech Square lawn for Oktoberfest. You'll expereince classic German food and beer along with music and other MassBio members. We look forward to seeing you there! 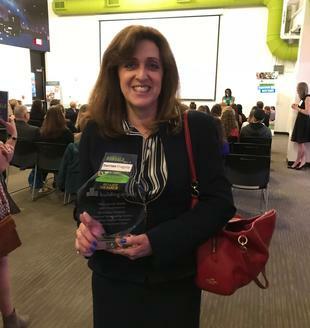 Janitronics Building Services is so proud to once again be named one of Boston's Largest Charitable Contributors by the Boston Business Journal. We are thrilled to support the community and share this honor with so many other fine companies. At the celebration on September 8, 2016, Janitronics Building Services donated the non traditional centerpieces of art supplies in paint buckets to Artists for Humanity through our partner Building Impact.